One of the wonderful things about being retired is I can change the day's plans on a dime! 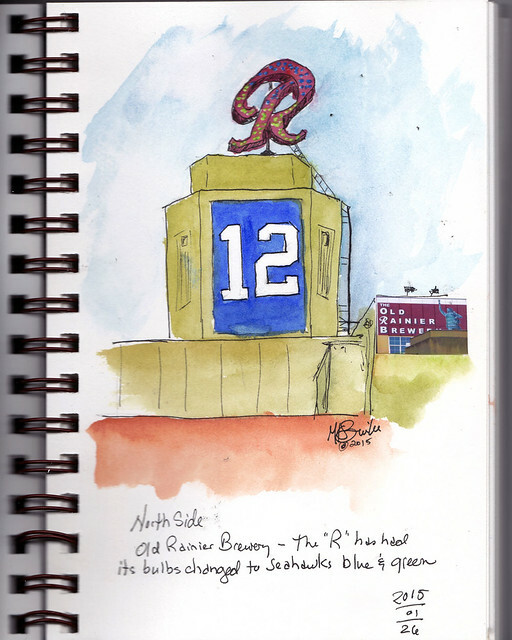 I heard on the news this morning that workers were going to hang 12th Man flags from the Old Rainier Brewery and then also change the bulbs in the big "R" atop the building to Seahawks blue and green. The team left for the Superbowl yesterday. So, of course, I had to go sketch that! Even more so because we're having Spring in January. It was bright sun, clear blue sky and 62 degrees F!! 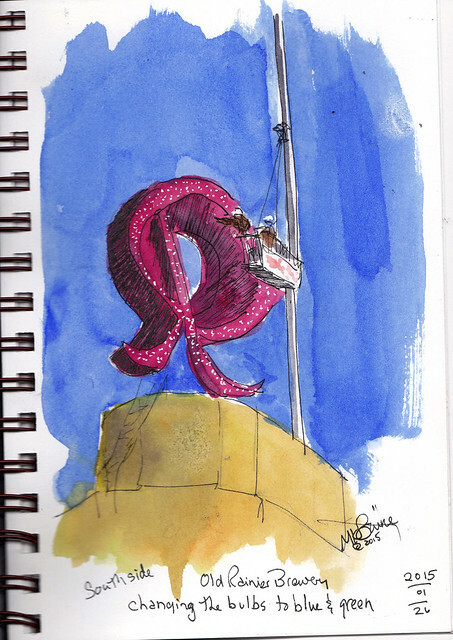 I did 3 sketches of the activity, two from the south side and one from the north side after they were finished. 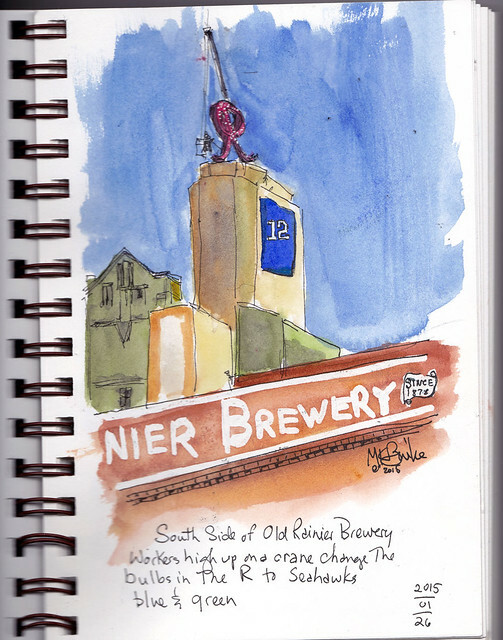 The sketch below has a bit of photo collage for the Old Rainier Brewery sign. On this last one I used my new favorite product. 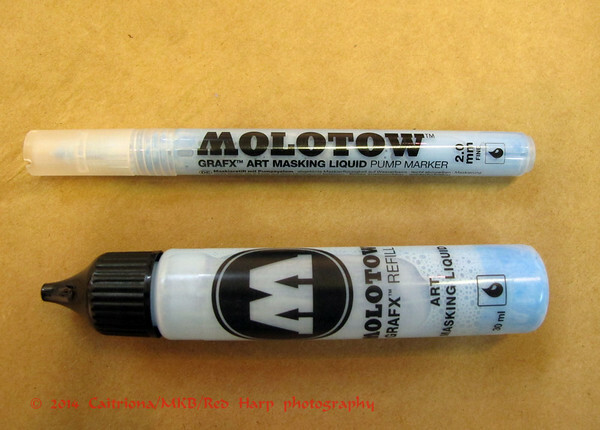 It's the new Molotow masking liquid pen I got at Daniel Smith. It dries quite quickly, unlike other masking products I've tried. I used the 2mm pen to preserve the white dots in the "R" so I could later color them with blue and green. It worked perfectly! In between the south and the north side, I sketched the view across the street. 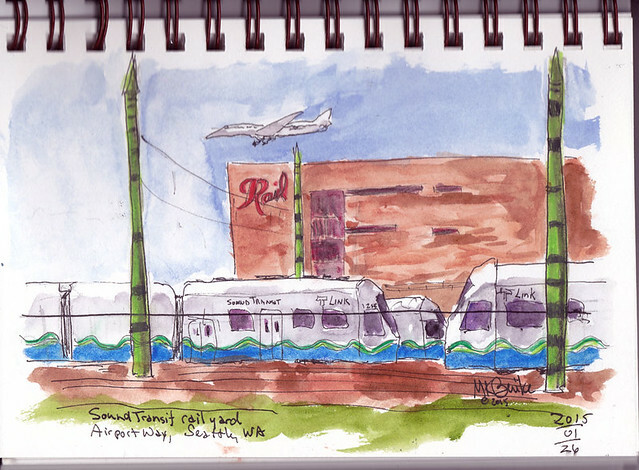 It's the Sounder rail yard at Airport Way & Hanford. A plane flew overhead, on approach to Boeing field, and I sketched the outline really quickly. Now I need to drive by the "R" at night to see the change of colors better! Thanks for sharing that information about the masking pen.